For full details, including a trailer and how to obtain tickets, please go to the Moviola programme page on the Chilworth website by clicking here. Entebbe stars Rosamund Pike and is inspired by the true events of the 1976 hijacking of an Air France flight en route from Tel Aviv to Paris, and the most daring rescue mission ever attempted. When buying tickets you can choose to pay on the door, but please don’t come on spec as the organisers do their best to lay out the room for the numbers expected, including the size of group bookings. Non-alcoholic refreshments will be available, but feel free to bring your own wine etc. 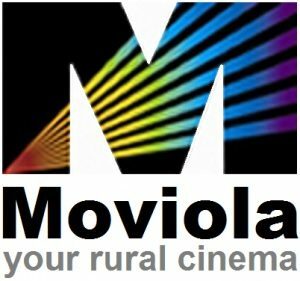 If the ticketing process puts you off, simply send an e-mail to moviola@chilworthhall.org.uk giving your name, postcode and how many tickets you’d like and the organisers will do everything else for you. Please feel free to send questions, comments or suggestions to the same e-mail address. As ever, the movie will start promptly at 7.30pm. Please don’t arrive earlier than 7.00 if possible, because the organisers will be busy setting up. Don’t forget to bookmark the programme page and, while you’re there, why not reserve your tickets for “The Bookshop” (our showing on 15thNovember, and the last before Christmas)? This entry was posted in Announcements, Chilworth Hall, Events and tagged Chilworth Hall, Moviola by Editor. Bookmark the permalink.